Vacation property can qualify for tax deferral under Section 1031. The key question is whether the property is held primarily for investment or for personal use. 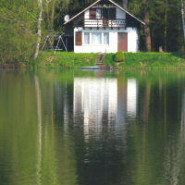 If your vacation home is investment property, it is qualified exchange property. If you use your vacation home for personal purposes for more than the greater of 14 days or 10% of the total days it is rented to others, the property, under the tax code, is a personal residence. The time you spend in the home to perform maintenance or up-keep, may be excludable from personal use days. Use of the property as a corporate retreat to entertain business guests, may also not count as personal use days. The tax law does not provide a definitive guidelines for tax deferral on the sale of a vacation property, however, just because a vacation property was acquired for personal enjoyment does not mean it cannot qualify for tax deferral. In a private letter ruling, the IRS allowed tax deferral when the owner was able to show that a vacation property was acquired for personal enjoyment and as an investment. It may even be possible to qualify for tax deferral even though the property has not been rented if the owner can substantiate that a primary reason for acquiring the property was an expected increase in value. If you do not meet the requirements for tax deferral, it is possible to change the use of the property from personal use to investment. The tax law in this area is unsettled or, more precisely, almost non-existent. That does not mean you should not consider an exchange. It does mean that you must involve experienced professionals to help you make an informed decision.